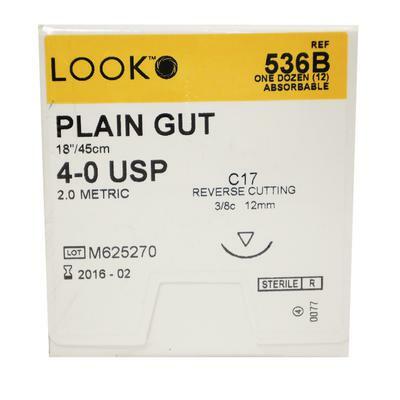 LOOK™ Plain Gut Sutures are made of first quality raw material, ensuring a dependable and predictable absorption and an extremely high tensile strength. 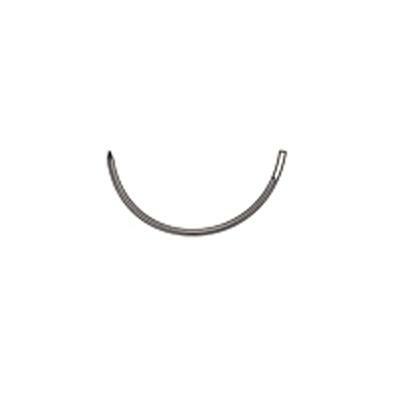 Every strand is precision polished to a uniform diameter, permitting smooth and secure knotting. 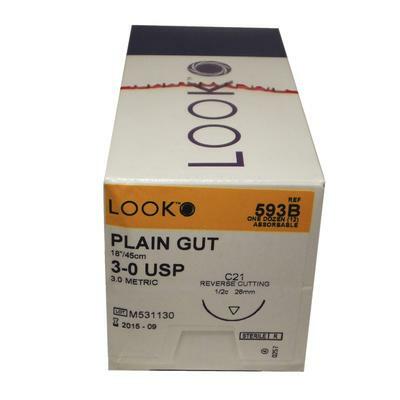 Indicated use includes in general soft tissue approximation and/or ligation. 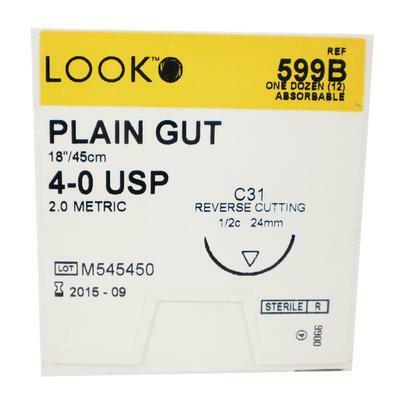 Extra sharp cutting edges extending from the point to its widest portion reduce tissue drag. Precise, smooth penetration through tissue minimizes trauma. 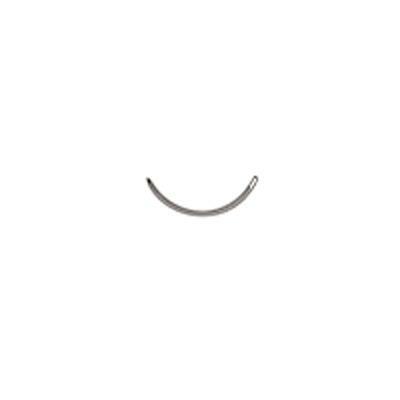 Needle channel is fitted to the specific size of the suture material. Sutures have a 5–7 day resorption.